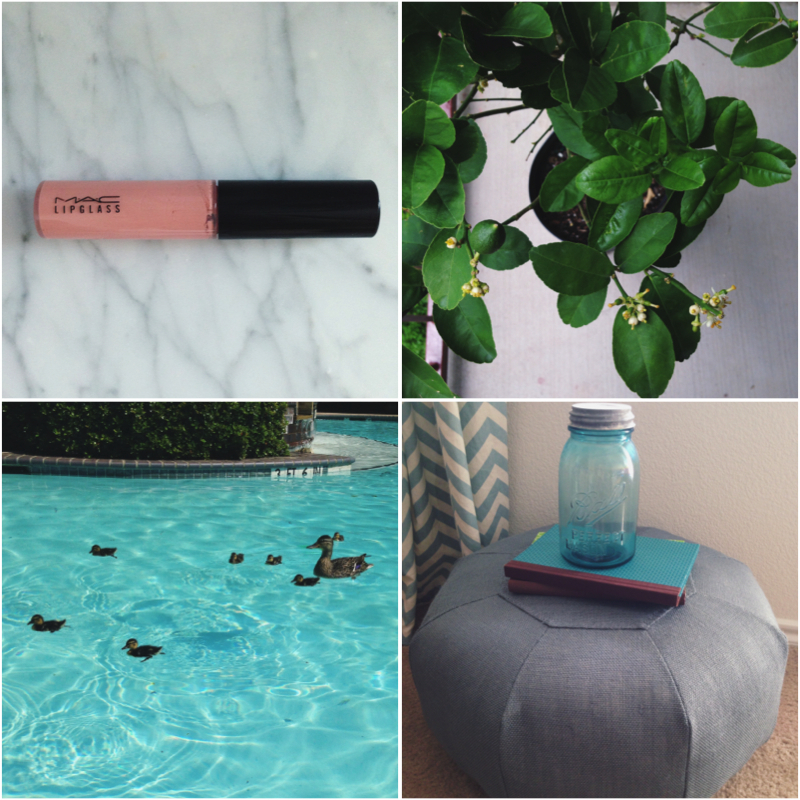 Since it’s been kind of quiet here on the blog recently, I thought I’d share a little peek of what’s happened this past month. Most of these photos can also be found on my Instagram, you can keep up with what’s going on around here by following me HERE. Drew and I celebrated our second anniversary with a little weekend trip to Dallas. When non-local people hear that we live in the DFW area, they generally assume that we make it over to Dallas all of the time. In reality, we usually only take just-for-fun trips to Dallas several times a year. It’s a fun place to get away to, even though it isn’t that far from home. The George W. Bush Presidential Library and Museum was just celebrating its one year anniversary on the weekend that we visited. 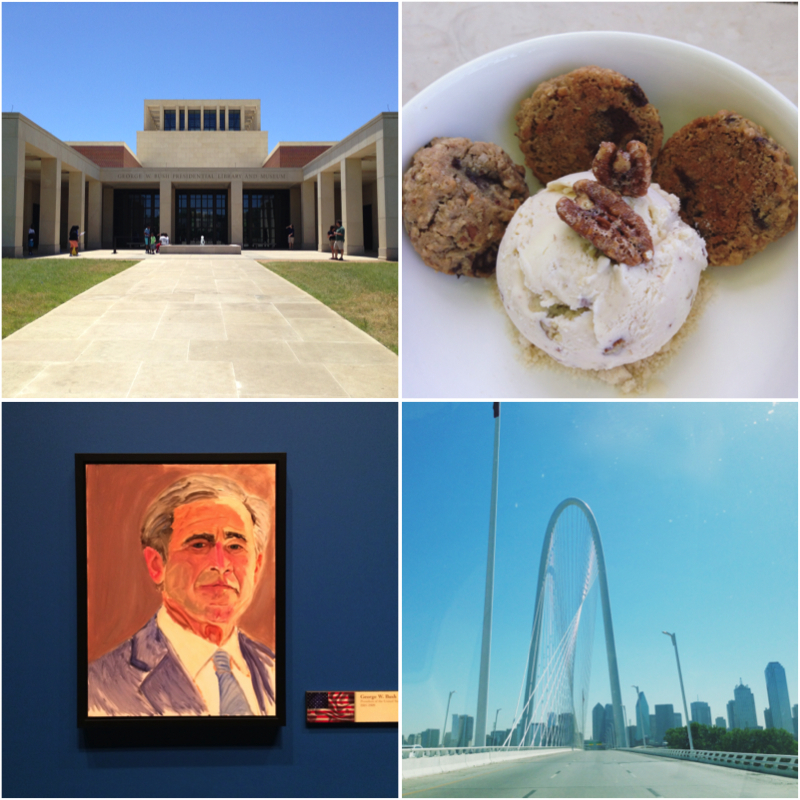 There was lots to see, including a September 11th gallery and a replica of the oval office. We stopped by Cafe 43 to try a combination of the Bush’s favorite banana pecan ice cream and Laura Bush’s famous cowboy cookies, they were so good together! Many of President Bush’s pieces of artwork, including this self-portrait, are on display at the museum through June 3. Heading into downtown Dallas on the Margaret Hunt Hill Bridge. I stopped by the M·A·C store in Dallas and got this free lip gloss just for taking in some of my empty makeup containers! You can learn more about M·A·C’s packaging recycle program HERE. We bought a key lime tree! I’ve been talking about getting one ever since the weather started to warm up. It already has several baby limes growing on it! Are these little ducklings not the sweetest thing ever?! They’ve been hanging out at our pool for several weeks. So much cuteness! A big reason for my lack of blogging, the Hello Homebody Shop on Etsy has been keeping me so busy! I just added these short gray poufs to the shop this past week. I’m in the process of creating throw pillow covers, they’ll also be making their way into the shop soon. I’m so excited to share some new projects and recipes with you in the near future, thanks for following!